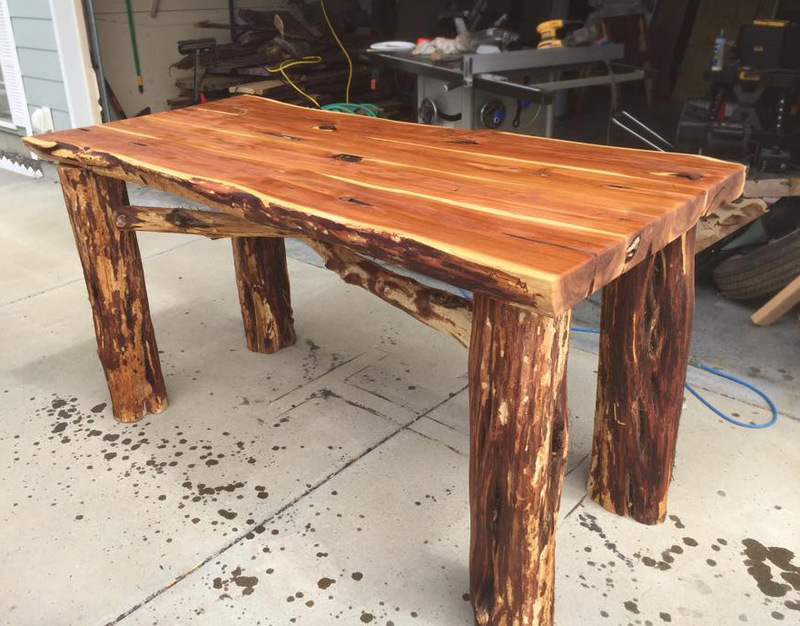 River Bottom Restoration Furniture builds gorgeous furniture out of trees that are considered noxious weeds! He sealed this beautiful table with General Finishes High Performance Semi-Gloss top coat. "Western Red Cedar is to Texas as Russian Olive is to Montana. Just finished up this outdoor table made out of Western Red Cedar. I wish I could always have the smell of cedar in my shop."